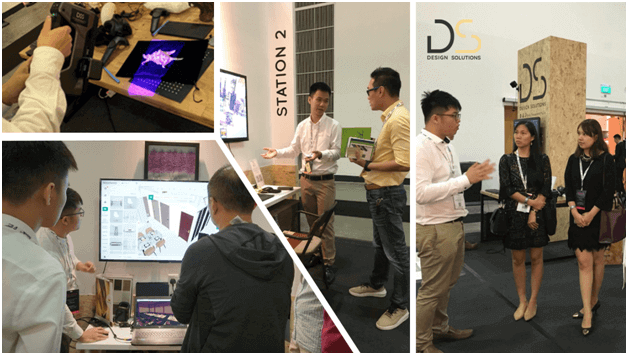 Singapore: In the 9th and 12th of March, Design Solutions debut its out-of-the-box solution at the International Furniture Fair Singapore (IFFS). After years of thoroughly developing a state-of-the-art solution for interior designs, Design Solutions is now out and ready for the world to see, and IFFS is one such great platform to be a part of. With Singapore selected as a UNESCO Creative City of Design, the city hosts the debut of IFFS 2019 to foster international collaborations and facilitate the sharing of experiences through the adoption of design and creativity as strategic factors. The event are joined by key industry players representing over 30 cities, including Buenos Aires (Argentina), Geelong (Australia), Montreal (Canada), Beijing (China), Helsinki (Finland), Berlin (Germany), Bandung (Indonesia), Seoul (South Korea), Istanbul (Turkey), Dubai (UAE), and Detroit (USA), them like Design Solutions Pte Ltd promotes sustainable urban development, with opportunities abound via cooperative projects. Exuding sophistication and elegance, IFFS, together with the ASEAN Furniture Show (AFS) and NOOK Asia, brought out a unique furniture fair experience via a well-curated, multi-sensorial platform that emphasises on the future of urban living. ●	Design Solution proudly showcase their innovative suite of solutions pushing the envelope in advancing the modern interior designing. Designers, Property Developers, Homeowners and Furniture and Material Suppliers were lucky to see, immersed and acquired first-hand experience of the tools and solutions in action. About Design Solutions: Design Solutions is a new era of design software that is set to transform the interior design industry. They have developed a space for designers to showcase their creative work and an E-Commerce platform that connects homeowners to furniture, bathroom and home accessory suppliers. Design Solutions offer wide variety of services ideal for Furniture and Material Suppliers as well. The platform will be rolling out this year! For more information about Design Solutions, visit our website: http://designsolutions.com.sg or keep in touch at: https://www.facebook.com/DesignSolutionsSG. For enquiries, you can reach Ooi ZhiQuan at +65 6463 2453.